"Your Personal Florist. 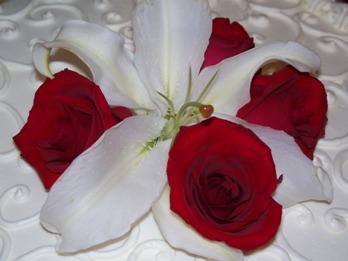 Flowers For All Occasions." "Karen, You saved my wedding day! Thank you for stepping in and doing what needed to be done." "Karen, Thank you so much for everything! The bouquets were absolutely gorgeous as was the arch. The rose petals on the tables were a nice touch. Thank you for being so thoughtful & helpful!" 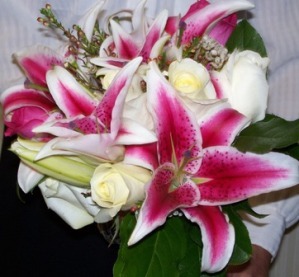 "We want to thank you for all the beautiful flowers for our wedding on September 22nd. Everything turned out beautiful and I am so glad that you changed my mind from all white flowers to use the wonderful mango colored Calla Lillies. They were magnificent." 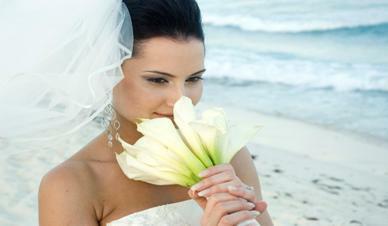 "Thank you so much for all of your hard work, effort and dedication to make our wedding flowers perfect. Your work was outstanding." 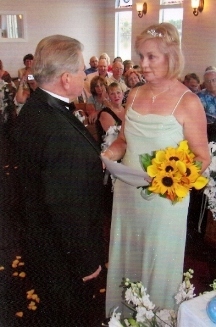 "Dear Karen, I wanted to extend my gratitude and appreciation for your hard work and wonderfully beautiful flowers for our May 17th, 2009 wedding at the Tradewinds. Everything you did was so beautiful, and I am very glad that I was able to meet you, and have the pleasure of working with you." All the best, Kim Wymore. "Thank you again for ALL of your help with our trip and wedding day. You went above and beyond in every single way Karen, and I can't express to you how much we appreciated all of it! Thank you for all of your help. It's been a pleasure working with you and getting to know you."